When is the best time to travel to Iceland? 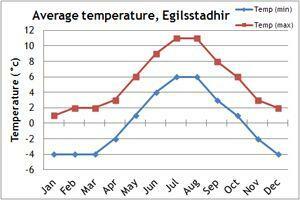 Our climate charts will give you an idea of the weather conditions in Iceland. 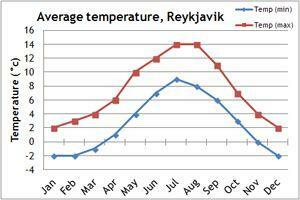 We operate a summer trek, which departs in Iceland's high season, between mid-June and August. Out of this season, Iceland is still a great place to visit, though trekking is replaced with snow shoeing. Waterfalls and geothermal attractions look just as stunning with a snowy background as they do in summer and the dark winter days provide an opportunity to see the dazzling northern lights. 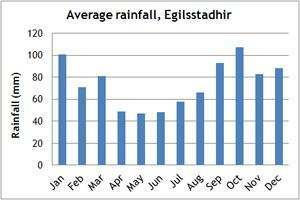 Precipitation is pretty constant throughout the year, though the north and east coasts tend to be slightly drier than the south and west. 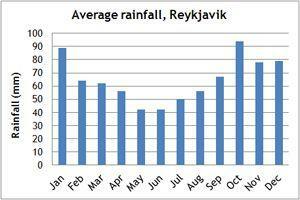 Generally the weather in Iceland is unpredictable – so be prepared to experience all four seasons in one day! If you can't make the dates of our group departures, then take a private departure on dates to suit you, or we can create a Tailor Made holiday to Iceland, especially for you and your family or friends.